“Be merciful as your Father is merciful” (Lk 6:36). I am filled with tremendous joy as I write this letter to you. I hope and pray that this message finds all of you in good state of health. There are three reasons for my letter - to thank God and all of you for the past Liturgical Year; to invite you to the celebration of the Extraordinary Year of Mercy and to indicate the manner in which it will be celebrated in our Diocese, always in one heart and mind with our Holy Father. I am extremely grateful to God: the Father, the Son and the Holy Spirit for accompanying our Diocese throughout the Liturgical Year 2015 dedicated to both Marriage and Family as well as Consecrated Life. We are all looking forward to the official communication of the outcomes and fruits of the Extraordinary Synod on the Family and its pastoral implications that will hopefully enrich our pastoral programmes. In August I sent the booklet on the “Vision and Priorities of the Diocese of Port Elizabeth” through the Pastoral Development Office to all Parishes throughout the Diocese. You took your precious time to pray, reflect, discuss and fill in the questionnaire that accompanied it. I am grateful to all individuals, parish councils and other lay movements that returned their responses. Your wonderful insights, suggestions and input are valuable as we continue to collate and elaborate our Diocesan Pastoral Plan informed by that Vision: “May They Be One in Us – A call to communion with God leading to holistic Evangelization”. As I write this letter on the 1st Sunday of Advent we are beginning a New Liturgical Year, which already orientates us to 2016. We are all invited to cultivate in our life of faith the Gospel values of prayer, vigilance, patience, hope and joyful expectation of the Festive Season when “the Word was made flesh and dwelt among us” (Jn 1:14). I hereby announce to all of you the Extraordinary Jubilee Year of Mercy which was solemnly proclaimed by our Holy Father Pope Francis on the Second Sunday of Easter, 11th of April 2015. The Holy Year will be inaugurated on the Solemnity of the Immaculate Conception on the 8th of December 2015. Moved by his extravagant love and mercy, God took initiative regarding the salvation of the human race by turning his merciful face “to Mary, holy and immaculate choosing her to be the Mother of his only begotten Son” and our Holy Redeemer. This Solemnity also marks the 50th anniversary of the conclusion of the Second Vatican Council which through the power of the Holy Spirt changed the face of the Church and ushered an era of new impetus of Evangelisation. As the Bishop of the Diocese of Port Elizabeth, Eastern Cape, South Africa I would like to welcome you to our new website. Whether you are a resident or a Visitor, I greet you in the name of Jesus Christ, our Lord and Saviour! 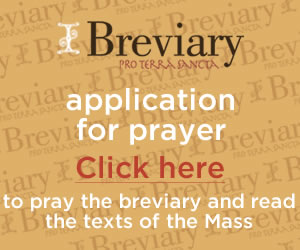 It is my wish that this website will inform and provide you with all the information you may require for this Diocese. You will also find links to other websites which may be of interest to you. If you do not find what you are searching for, please do not hesitate to contact us at the Chancery Offices. Please also tell your fellow parishioners about the new website.